Blackrod is simplicity in itself. 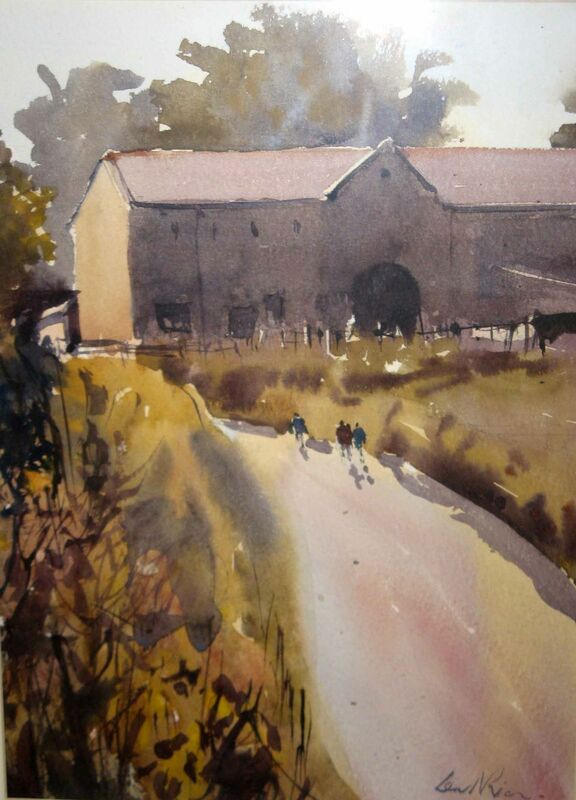 Simplicity in itself – watercolour is simple. The laying of washes, working from light to dark generally, but the truth is, we make it difficult. I noticed in my class the other day that there was a lot of improvement being made. Those particular artists were beginning to make fresh looking washes that weren’t overworked and they were allowing the pigments to settle into the paper without disturbance. (That is: not fiddling) And they achieved sparkle and glow. It was tremendous. Just read your Facebook post about laying down watercolour washes and then not fiddling with them. I think maybe that’s where I go wrong. So I should aim for simple washes, work light to dark, put the wash down, and then leave it be? You also mentioned letting the pigment settle on the paper. Do you mean working elsewhere on the paper while the first wash dries? One last thing: you posted a review on a brand of paint a few weeks back and in it you mentioned something like getting generous amounts of paint on the brush. I guess that loading a larger brush with plenty of paint allows you to complete a wash without having to go back and fiddle with it or at least without having to mix more? The most important rule is to lay down your wash then leave it alone to do its own thing. And the biggest mistake many painters do is the opposite. They look at their wash and always try to improve it, but it just ruins it. It’s generally a hard rule to follow, but you have to if you want fresh and clean looking pictures. Usually when you’ve layed down your washes you let the whole paper dry before you go in with your next lot. I don’t normally move around on my paper letting other parts dry as you have suggested. Unless your name is John Yardly and he does this very successfully, but that’s his way and it helps create his style. Lastly, I mentioned loading my brush with loads of water but also lots of pigment in order to achieve deep intense washes.